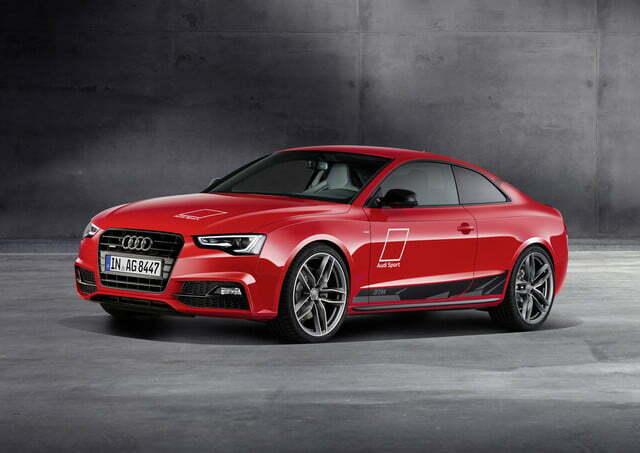 Volkswagen-owned Audi has introduced a limited-edition version of the A5 coupe whose design is inspired by the heavily-modified RS 5 that competes in the German Touring Car Masters (DTM) race series. Called A5 DTM selection, the limited-edition model comes as a surprise because it hasn’t been a fantastic season for the RS 5. Audi is currently placed third — behind both BMW and Mercedes-AMG — in the manufacturers’ championship, and there’s only one race left to go before the end of the season. 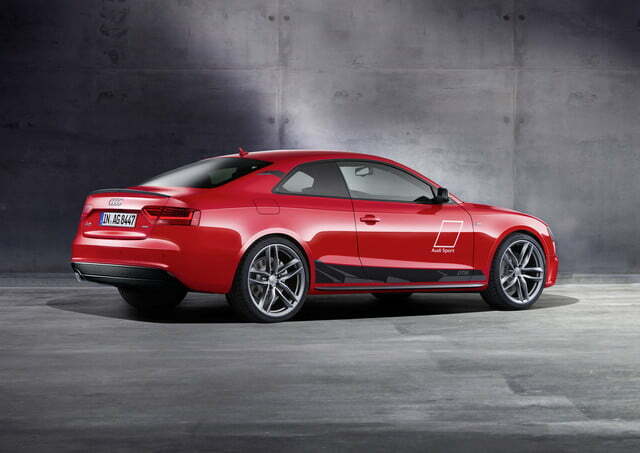 The commemorative coupe nonetheless boasts a DTM-inspired misano red paint job that’s accented by oversized Audi Sport emblems on both doors and on the hood as well as eye-catching gray and black decals right above the rocker panels. 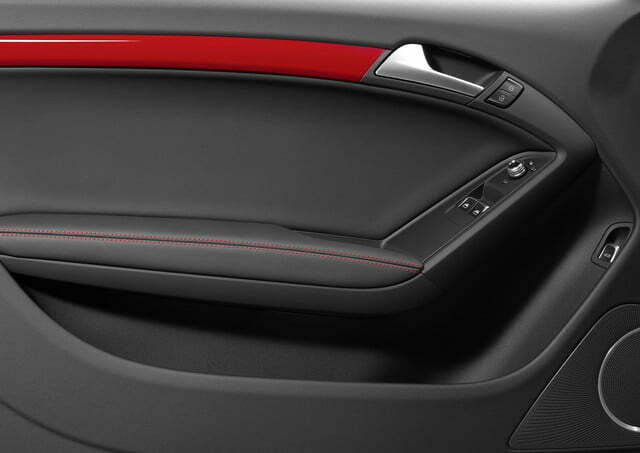 The red is accented by high-gloss trim on both ends, while 20-inch cast aluminum wheels and a black spoiler on the trunk lid add a finishing touch to the track-ready look. 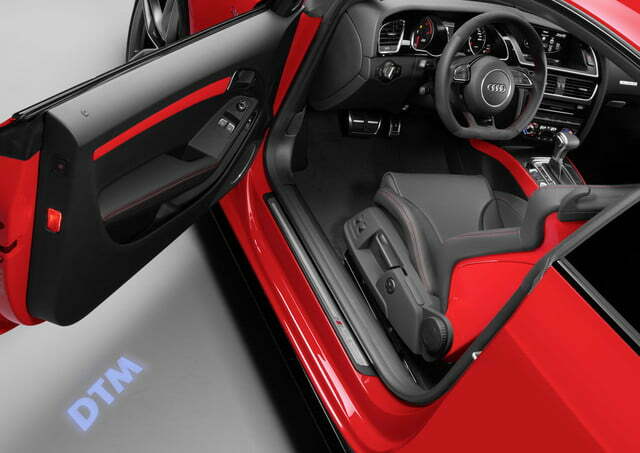 The limited-edition A5 gains puddle lights that display the DTM logo when the doors are open. 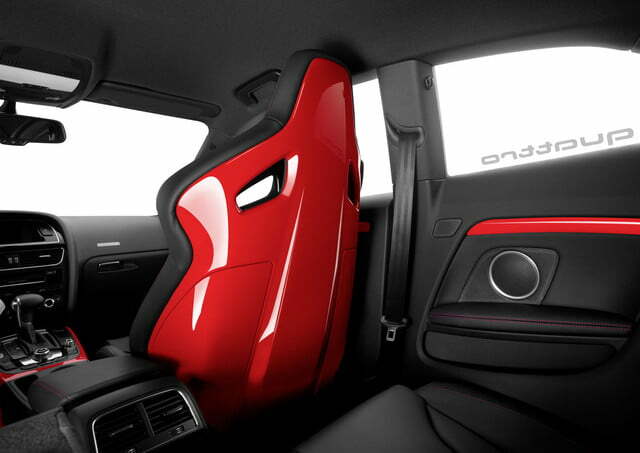 Inside, the passengers are treated to bucket seats borrowed from the more expensive RS 5, while the steering is commanded through a sporty-looking flat-bottomed wheel that’s partially upholstered in Alcantara. 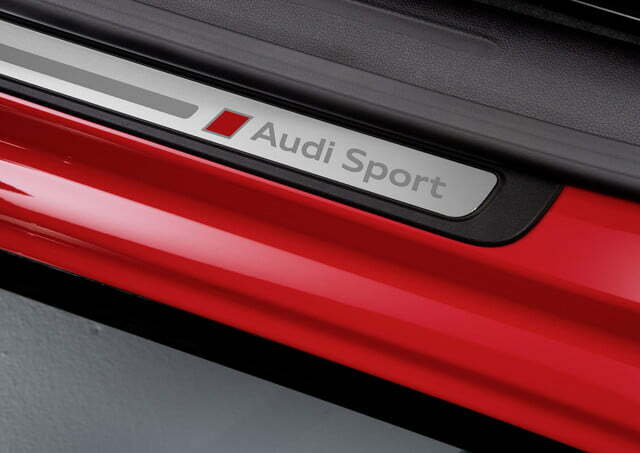 Audi has not made any mechanical modifications under the hood. The A5 DTM selection is powered by a stock 3.0-liter V6 TDI turbodiesel engine that makes 245 horsepower and 427 pound-feet of torque. 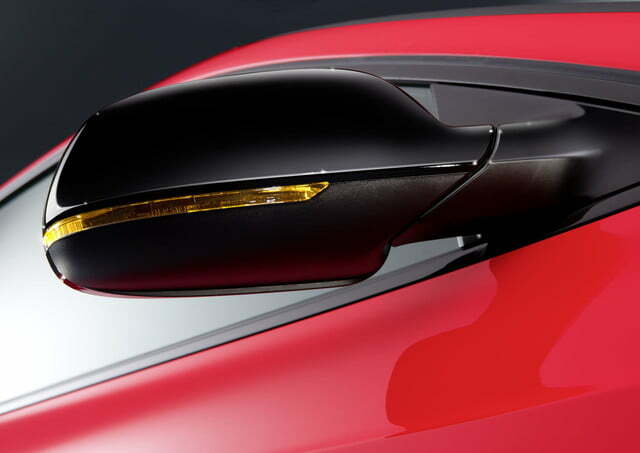 Linked to a seven-speed dual-clutch transmission that spins all four wheels, the oil-burner sends the A5 from zero to 62 mph in 5.9 seconds and on to a top speed that’s electronically limited to 155 mph. 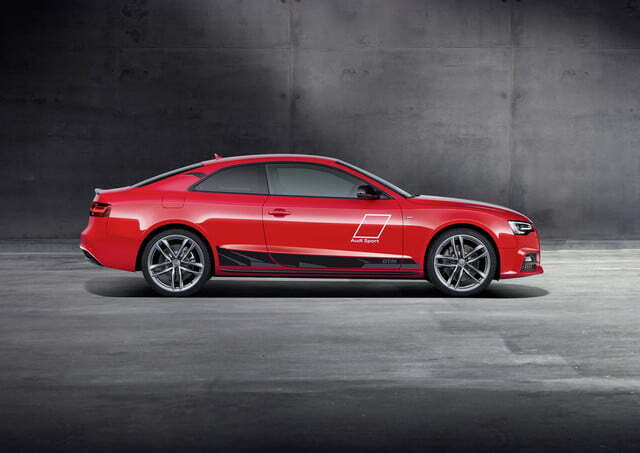 Audi will build just 50 examples of the A5 DTM selection edition, and each one will cost €74,540 (a lofty sum that converts to over $85,000). 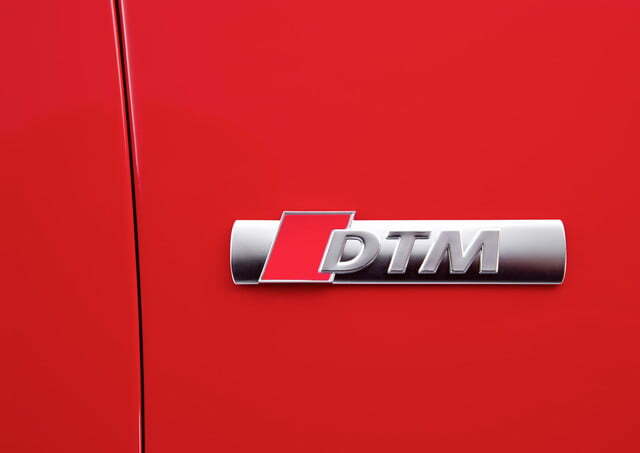 To put that figure into perspective, the regular-production, 3.0 TDI-powered model that the DTM selection is based on starts at €51,550 (nearly $59,000). 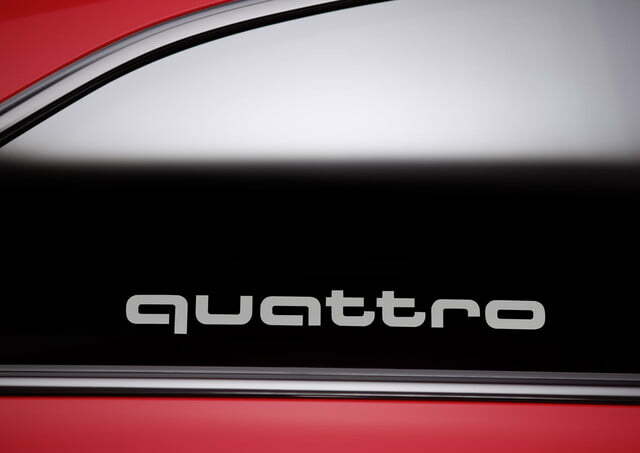 At the time of writing, Audi is not planning on offering its latest limited-edition model in the United States.